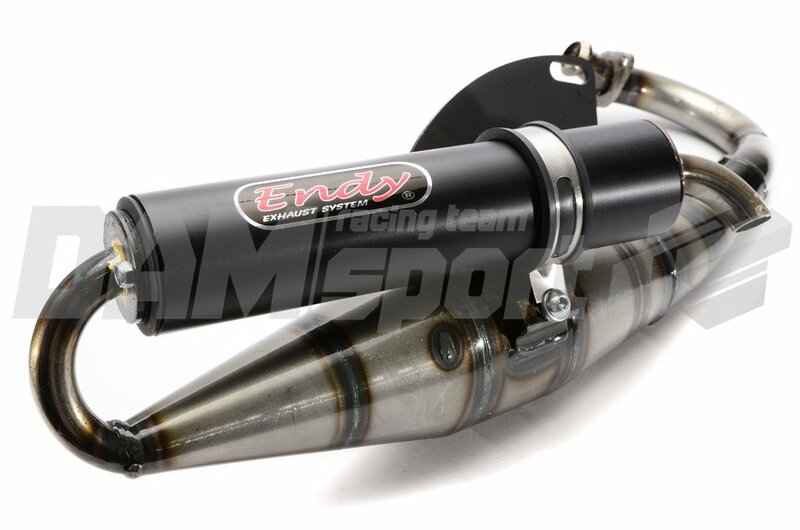 Three new exhausts out there from Spain by Tecnigas and a new brand (in the scooter scene) called Endy that worked together with French Dam Sport. Read all about it here. The Triops Racing (pictured above) is a classic mid race spec (70cc e.g. 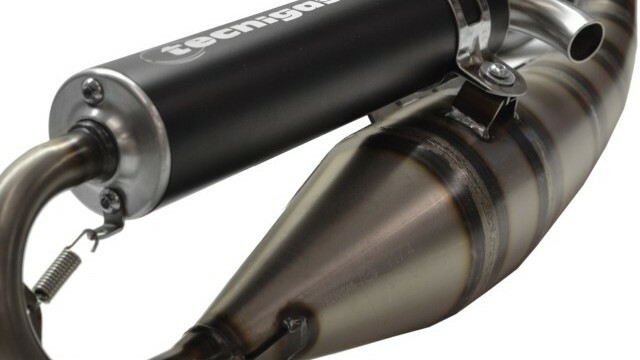 Stage6 Racing or Sport Pro) exhaust and announced as the so far most powerful Tecnigas exhaust. It features a hand welded body and an aluminum exhaust tip. Parts are held together by feathers as it is knows from all the higher end exhausts. Good news is that it comes with an ECE homologation that allows it to be driven on the road (restrictions applied). We are looking forward to the first test results (hit me up Tecnigas if you want this covered. Same goes for the other brands). Usually Tecnigas does a pretty good job I wouldn’t expect a high end monster here though. 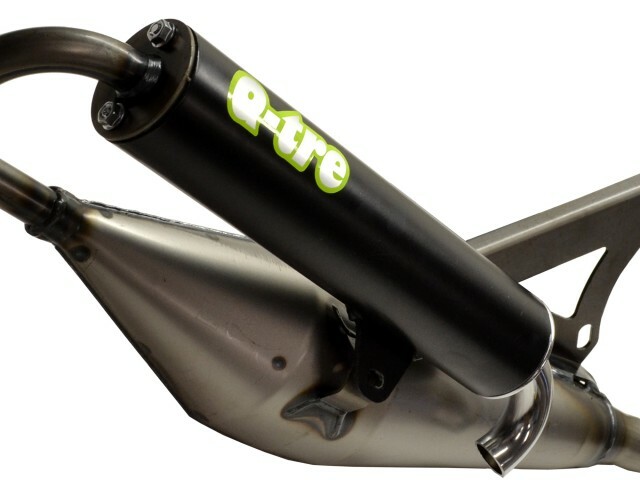 The exhaust is available for all major scooter brands at a regular retail price of 164,80€. Good news is that Streetlights in Germany offers a 10% discount so you can pick yours up at 147€ already. 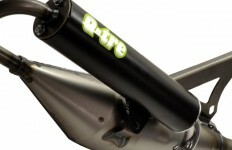 The last of the new exhaust comes from France (even though it’s made in Spain). 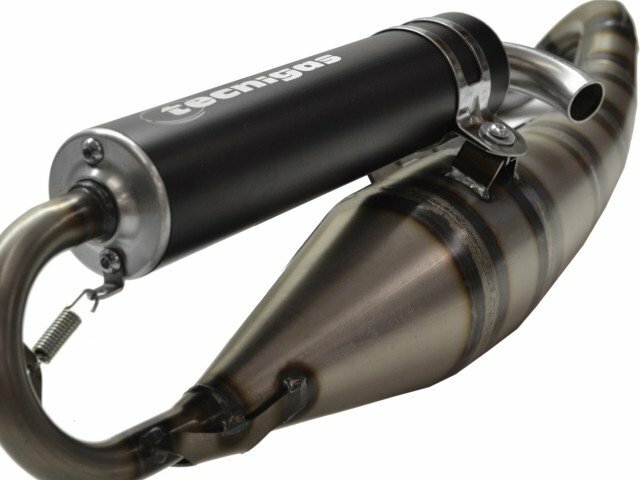 Dam-Sport created a sport exhaust for stock engines that similar to the Technigas is cheap and can make your scooter go fast. That’s at least what they promise. It remains to be tested as we don’t know much about the brand yet. I think it looks cooler than the Tecnigas and it definitely has a better name. The underground factor is a plus point too for me. 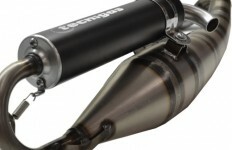 However, if you want to be sure that maximum performance is achieved it is probably safer to go with the Tecnigas as our tests have shown that they just perform great on stock engines. The exhaust is advertised as usable on 70cc cast irons as well. I’d say this is probably true but there are most likely better choices for that use case. The Endy is available now from Dam-Sport at 89€ including a ECE homologation and a set of rollers (that’s really cheap btw.). how did the Technigas triops preform in the test? No idea what the problem is, Reed Valves ? Demonic Possession ?